1. 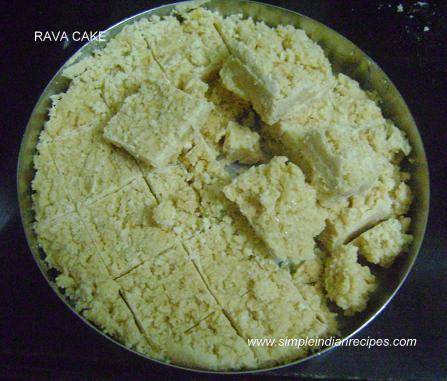 Mix the rava, ghee, milk and sugar together and cook in slow flame. 2. Like mysore pak, it will start leaving the kadai. 3. Transfer it on greased plate, cut into deired shapes. 4. The optional items can be added before you transfer the same on to the plate. Garnish with dry fruits. It is a lovely item. Add sugar according to individual taste. Nice recipes of delicious Indian food!! Published by Dahlia Twinkle on 2012-02-29 and last updated on 2013-11-13.